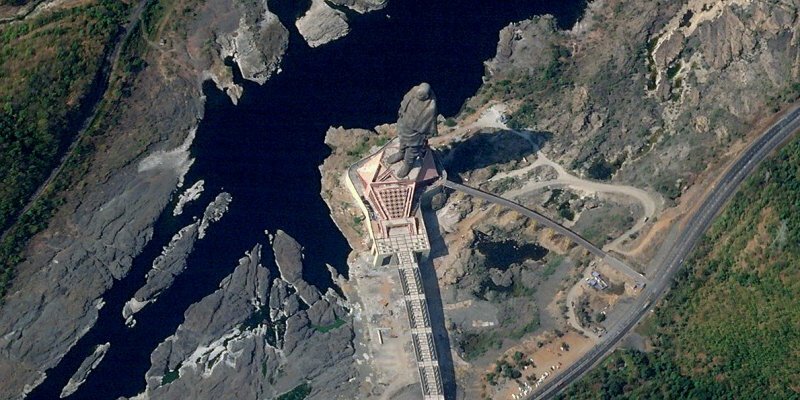 New York: An American company on Saturday made a special post when they tweeted the image of India’s Statue of Unity from space on their micro-blogging site page. The 182-metre steel and bronze Statue of Unity of India’s “Iron Man” Sardar Vallabhbhai Patel is currently the tallest statue in the world. In the image, the statue could be seen with the river Narmada flowing close to it. Prime Minister Narendra Modi had last month unveiled the 182m-tall statue of Sardar Vallabhbhai Patel in Narmada district of Gujarat.